Developer Riverside Group has announced it will bring back the "larger apartments of a decade ago" with the development of a new $55 million apartment development in Richmond. Palmer Street, developed in a joint venture with Macquarie Real Estate Equity Funds, will feature 56 boutique apartments across a six-level building on Palmer Street. It is part of the larger Jacques Richmond precinct. The development will offer 23 one-bedroom, one bathroom apartments ranging in size from 55 to 72 square metres; 24 two bedroom, two bathroom apartments ranging in size from 81 to 101 sqm; and nine three bedroom, two bathroom apartments ranging from 152sqm to 170sqm. The announcement comes as the Victorian Government prepares new apartment design standards which could ban tiny apartments in the state. According to Fairfax, drafts leaked last year revealed there would be a 37sqm minimum for studio apartments, with one bedroom apartments at least 50sqm. 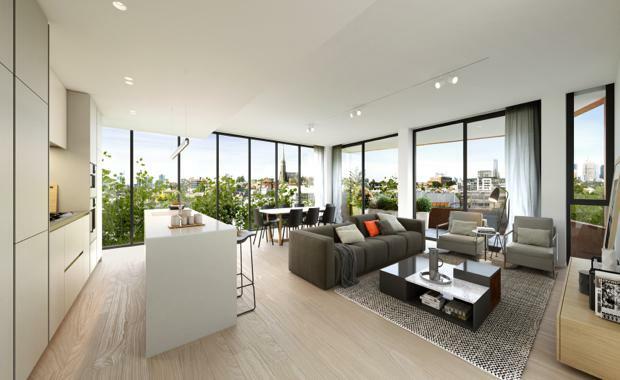 Riverside Group sales and marketing director Kristine Lee said the expansive apartments were essential in a suburb where buyers demand larger living options. “Richmond is emerging as a top market for empty nesters and downsizers who require luxurious, quality larger format apartments when they sell the family home and want to move closer to the city,” she said. Fender Katsalidis Architects designed the development, which is expected to commence construction in the third quarter of 2015. Completion is anticipated by the end of 2016.